Obsidian is truth-enhancing. 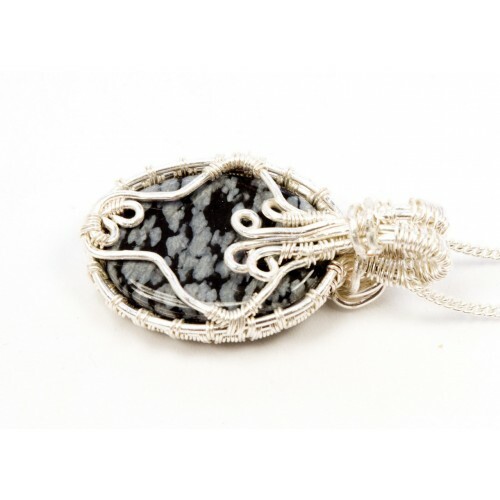 A strongly protective stone, it forms a shield against negativity and draws out mental stress and tension. 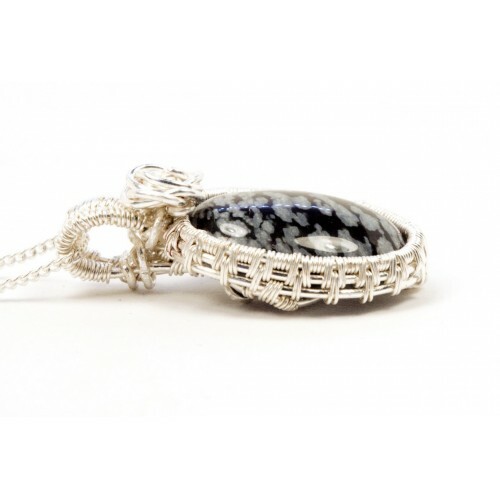 It stimulates growth on all levels, urging exploration of the unknown and opening new horizons. Brings clarity to the mind and clears confusion. Helps you to know who you truly are. In addition to the basic properties of Obsidian, Snowflake Obsidian is calming and soothing. It teaches you to value mistakes as well as successes. 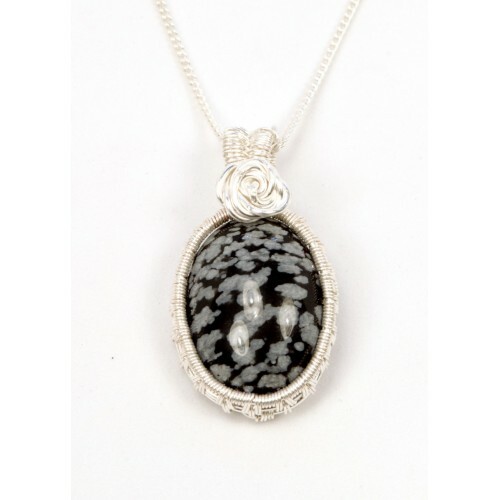 A stone of purity, Snowflake Obsidian provides balance for body, mind and spirit. It helps you recognize and release “wrong thinking” and stressful mental patterns. 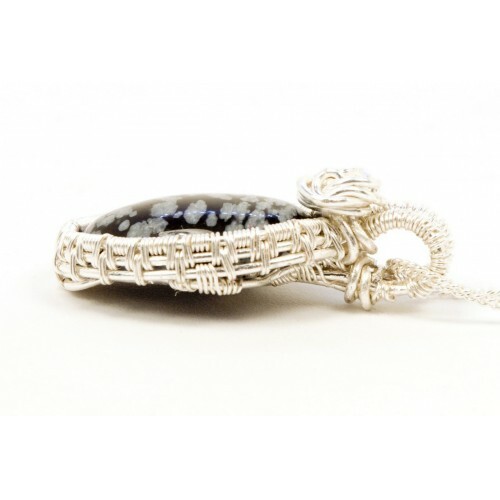 The cabochon is wrapped in silver filled wire. Sold with a silver plated chain and white organza ribbon.